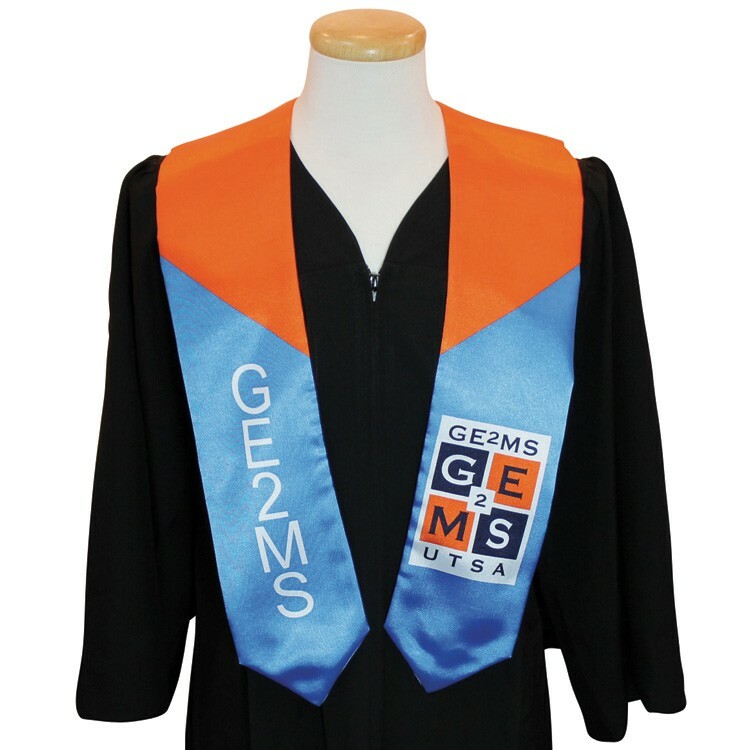 100% polyester custom wet dye graduation sashes. 5" x 60" custom designed graduation sash. Complimentary artwork up to 8 colors, pre-production sample and set-up included. 50 piece minimum. Quantity discounts available. Solid color stoles are also available.